Sony India has expanded its noise cancellation line-up. An industry leading technology made even smarter, the new elevated series is designed to offer stunningly premium and refined sound. The new line-up is embedded with unique features that let the consumers enjoy noise cancellation adaptive to the surroundings and usage patterns. A number of advancements have been put into these headphones to make them industry leading in noise cancellation technology. With personal and atmospheric pressure optimizing that adjusts to individual listening style and one’s altitude, consumers are now set for an immersive sound journey. For the 1000X family, the companion Sony Headphones Connect App is packed full of Sony smart features for adaptable listening, utilising mobile device’s accelerometer sensor to detect the user’s activity and adjust music and sound settings to best suit the environment. Using the app the new 1000X headphone series allows for more flexibility in customising how users want the headphones to adjust to their surroundings. The app available for the wireless headphones gives more control over what and how ones listen, and the equalizer will adjust the music to one’s preferences. The sound effects offer to choose from Arena, Club, Concert Hall or Outdoor Stage. The h.ear on WH-H900N brings wireless noise-cancelling technology with touch control in the around-ear style. Easily skip songs with touch control, or if prefer to use the Headphones Connect App, one can control everything from a smartphone. The world’s first activity recognition ‘Adaptive Sound Control’feature offers noise cancelling and ambient sound preferences to suit different environments. This smart listening experience is realised by Sony’s integrated technology called SENSE ENGINE, designed to provide a personalized experience for every single sound, including music and ambient sound, tailored to individual needs. 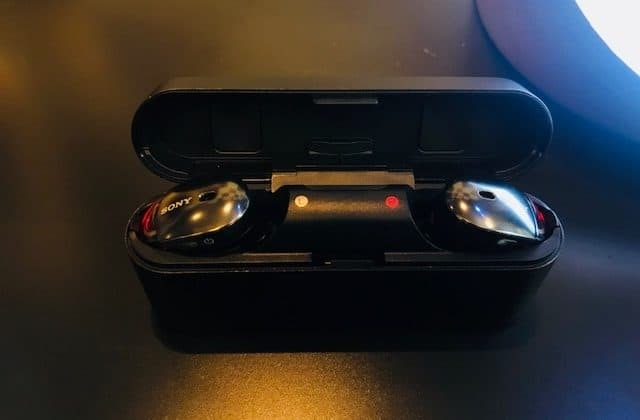 The series is also bulked up with world’s first ‘Atmospheric Pressure Optimizing’ feature analyzing the atmospheric pressure of the surroundings to optimize the headphones’ noise cancelling a performance. With the WH-1000XM2 and WI-1000X, the user gets the world’s first ‘Atmospheric Pressure Optimizing’ feature that uses sensors to detect the air pressure around and optimize the noise cancelling accordingly. An equalizer allows tailoring the soundscape according to the personal preference. It also allows smart listening experiences through Sony’s SENSE ENGINE. On the other hand, the stylish behind-the-neck wireless noise cancelling headphones WI-1000X is the perfect companion for the commuters who want to add sophistication and efficiency to their daily commute and business trips with up to 10 hours of battery life (with wireless noise cancelling turned on). With the world’s first ‘Atmospheric Pressure Optimizing’ feature, this pair is perfect for enjoying in-flight entertainment systems via a wired audio connection with industry-leading noise cancellation for up to 14 hours. With unmatched battery life, the WH-1000XM2 is enhanced to last 40 hours with an audio cable, or 30 hours wirelessly, the Quick Charge function gains 70 mins of battery life with just 10 minutes of charging. On the other hand, WF-1000X comes in the sleekly designed charging case for up to 9 hours of usage. Benefitting from all the award-winning features of the MDR-1000X and bringing even more to the table, the WH-1000XM2 does not disappoint with the best noise cancelling technology combined with unique Ambient Sound Mode, Personal NC Optimizer and Quick Attention Mode in this around-ear style. The h.ear on Wireless NC, WH-H900N brings wireless noise-cancelling technology with touch control in the around-ear style. The user can easily skip songs with touch control, or if they prefer to use the Headphones Connect App, it can be controlled by the smartphone. It is also enabled with Ambient Sound and Quick Attention modes which are a smart way to control listening experience on the move. Backed with 28 hours of battery life and Quick Charging for just 10 minutes, the user gets 65 minutes more life in these Hi-Res compatible headphones delivering the best in audio quality all day long. Additionally, theirwireless connectivity option via Bluetooth® Technology offers an alternative way to use it.Being LDAC™ compatible for experiencing high sound quality, the headphones are a perfect listening option for consumers today. The WH-1000XM2, WF-1000X, WI-1000X and WH-H900N will be available across all Sony Centers and major electronic stores in India. Sony expands its premium Noise-Cancellation Headphones line-up 0 out of 5 based on 0 ratings. 0 user reviews.